You may have noticed a few fancy screenshots with writing on them while viewing this blog. I use the wonderful Apple only tool Skitch. At the moment it is by invite only and I have run out of invites but I suggest you request an invite. It is my best find of the year and I use it a lot as it has an on-line screenshot hosting site- so easy to use. 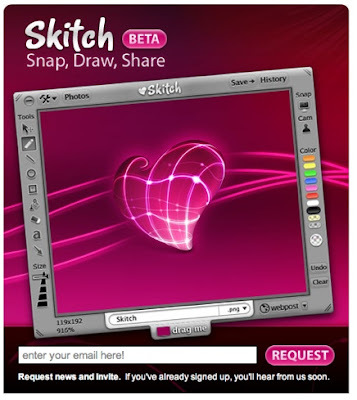 My mate Chris Betcher made a rather cool video on some of the cool features of Skitch.